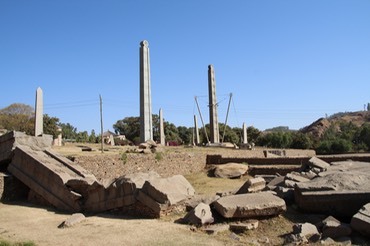 So, to Ethiopia and Addis Ababa, one of those cool sounding places that capture your attention in childhood. Timbuktu!, Tashkent!, Ouagadougou!. 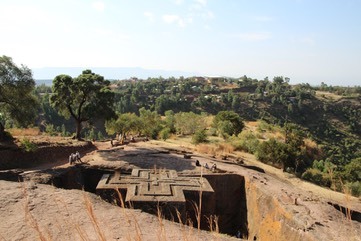 Our trip included the northern circuit of churches, castles and monuments, followed by a 3 day trek, staying in traditional houses and finishing up with some time around the Rift Valley. Indiana Jones followed by David Attenborough. On arrival in Addis we met the rest of our group for the northern part of the tour and flew to Gonder. 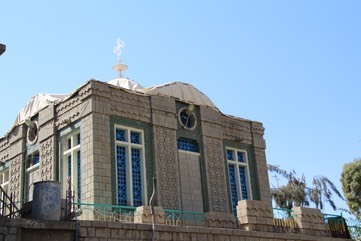 This church, in Axum, contains the Arc of the Covenant, and is guarded by a monk, who is voted into position when the previous guard dies and then stays there for life. Absolutely no way of verifying its presence but an impressive story, none the less. Impressive stellae, carved by previous kings of the region, have been put together into a kind of park. Despite being UNESCO protected this has not stopped a proliferation of telephone and electricity wires from crossing it. 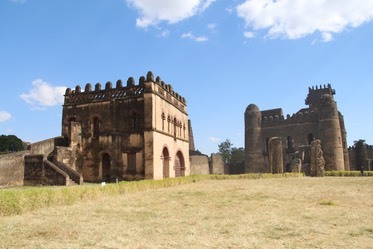 Who even knew that Ethiopia had castles. I didn't but they were quite impressive, and the general surroundings supported a large amount of interesting birdlife. Apparently the only place in the world you can see churches carved down into rocks. In total there are around 11 of these churches to see, but this is the best known. As our trip coincided with the Ethiopian Christmas, there were a lot of pilgrims adding to the atmosphere. 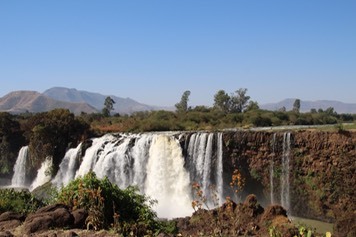 The Blue Nile falls, accessible from Lake Tana, which is the official source of the Blue Nile. We were apparently very lucky to see the falls in good flow, as a nearby dam usually leaves them dry.